NATIONAL child protection organisation Bravehearts has launched a break-through intervention program aimed at young people who have, or are at risk of engaging in harmful sexual behaviour. 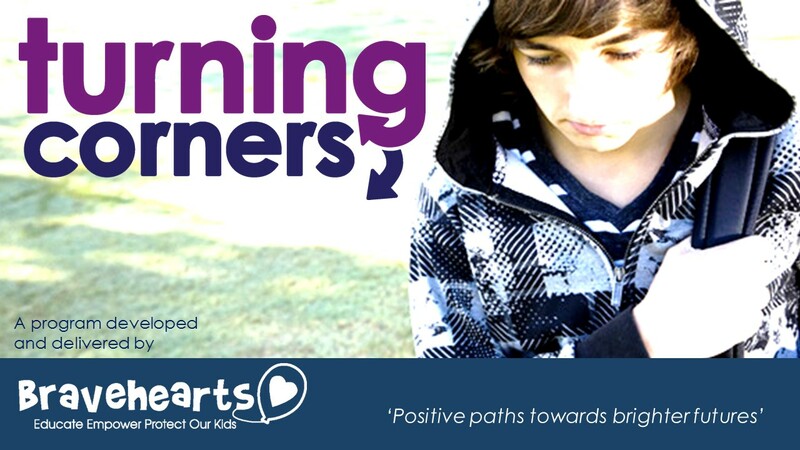 The ‘Turning Corners’ initiative provides a comprehensive and integrated response to working with young people (12-17 years) in an attempt to identify and prevent sexualised behaviours. Research indicates that around 30-60 per cent of childhood sexual assault is perpetrated by other children and young people. The program, funded by the Erica Foundation, has won the support of the Queensland State Government and the Australian Federal Police, who are becoming increasingly focussed on prevention-based solutions to a crime that will affect more than 60,000 Australian children annually. Launching the program as part of its 20th annual White Balloon Day during Child Protection Week in Brisbane, Bravehearts Founder Hetty Johnston AM, said a holistic approach was required if the nation was serious about protecting the most vulnerable members of the community – our kids. “Early intervention is key to making meaningful changes and growth in a young person’s life. Turning Corners allows Bravehearts to offer a holistic approach to preventing child sexual assault in our society,” said Ms Johnston. “This includes providing education and therapeutic support to young people who have or are at risk of engaging in harmful sexual behaviour. We must address the whole cycle of assault if we are truly going to prevent child sexual assault from occurring in Australia. Queensland Child Safety Minister Shannon Fentiman said she is supportive of programs that help build child-safe communities. “I am committed to keeping Queensland children safe and I wholeheartedly support initiatives such as the Bravehearts Turning Corners program,” she said. AFP State Manager Queensland Sharon Cowden, said the prevention of child abuse and exploitation is a priority for law enforcement, and required a whole-of-community response. “Young people are represented in child sexual assault statistics,” Commander Cowden said. Hetty Johnston said young people engage in these behaviours for a range of reasons, from curiosity to personal trauma-related experiences. “Adolescents are still developing physically and emotionally and during this time when at-risk young people are exposed to violence, abuse, trauma and neglect, there are negative impacts and the ripple effect is felt right through the community,” she said. “Treatment is very successful within this age group and undertaking a timely, meaningful intervention with young people who engage in harmful behaviour is of vital importance. Start-up funding by the Erica Foundation has enabled Bravehearts to undertake essential research and program development as well as backing a program coordinator role until June 2017. The Treatment model is flexible to accommodate the developmental needs of the young person and their families. This may include young people with learning and language difficulties, developmental delays and varying levels of intellectual ability. Family members and/or carers are included in the treatment for best outcomes. Community safety 2. Addressing harm caused. 3. Preventing further harm. 4. Promoting well-being. 5. Education.